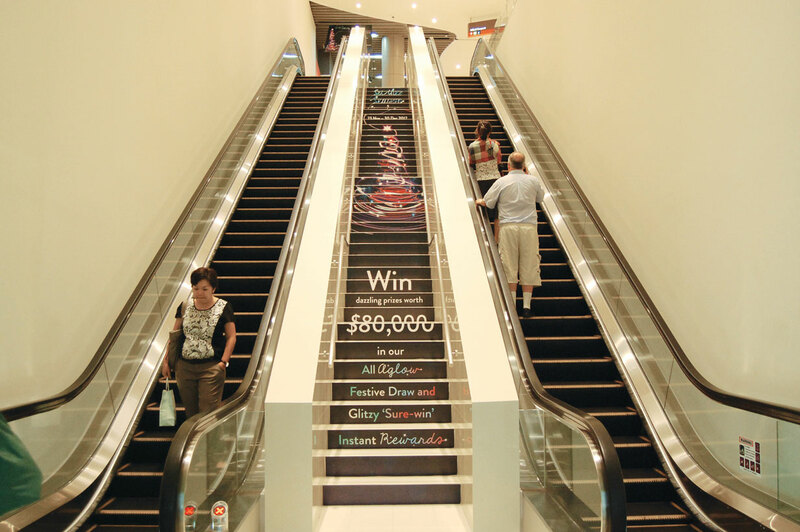 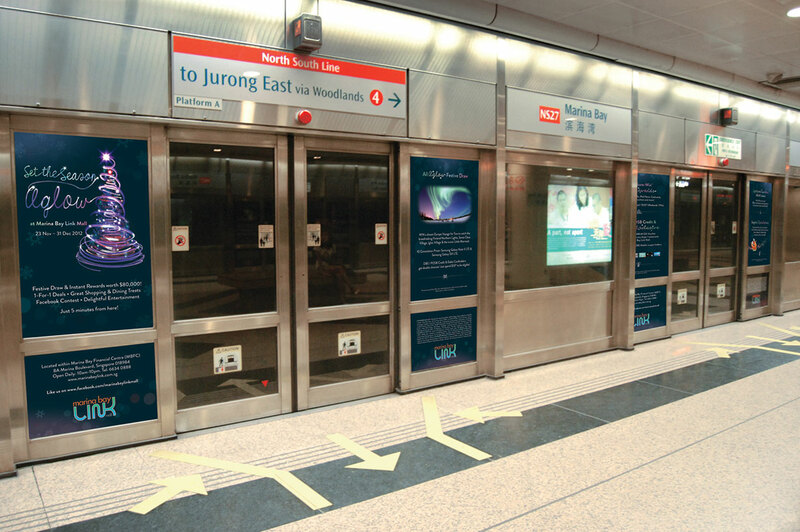 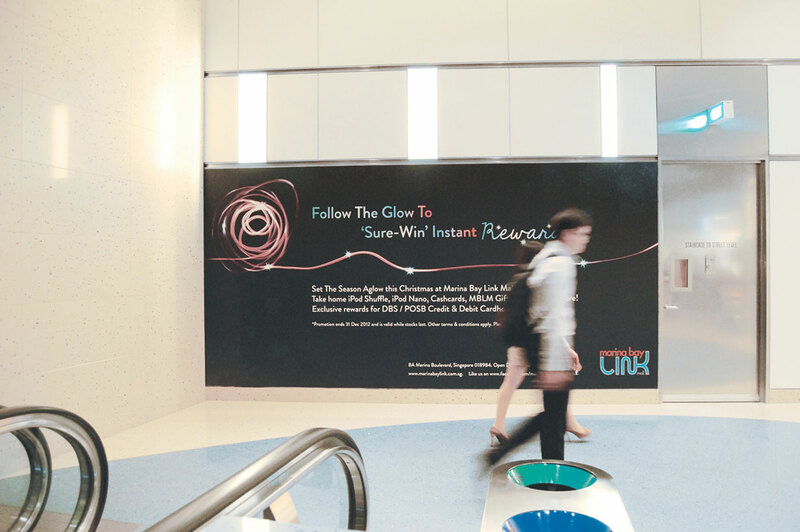 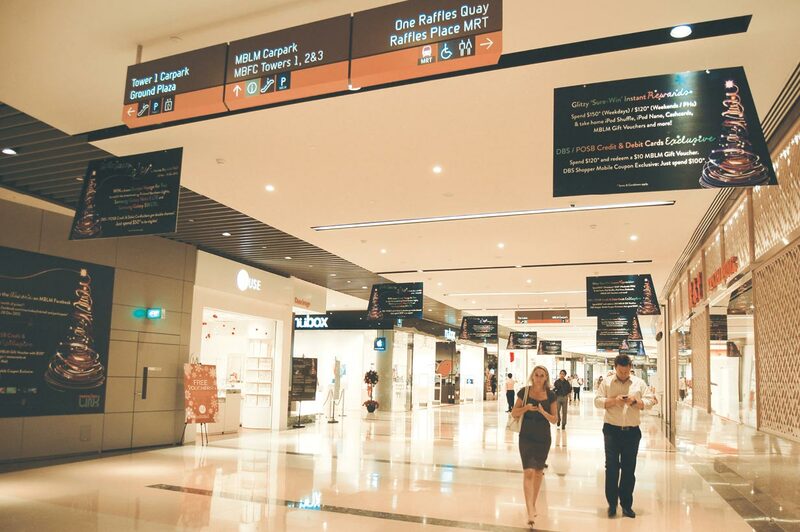 Situated directly below The Lawn @ Marina Bay, Marina Bay Link Mall (MBLM) is a Subterranean mall featuring a range of retail and F&B attractions, with its connectivity greatly enhanced by the Downtown MRT station which opened in Dec 2013. 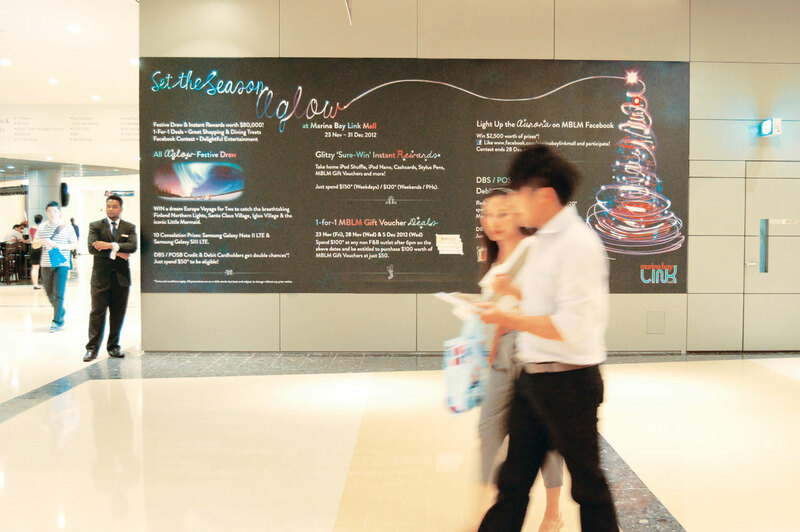 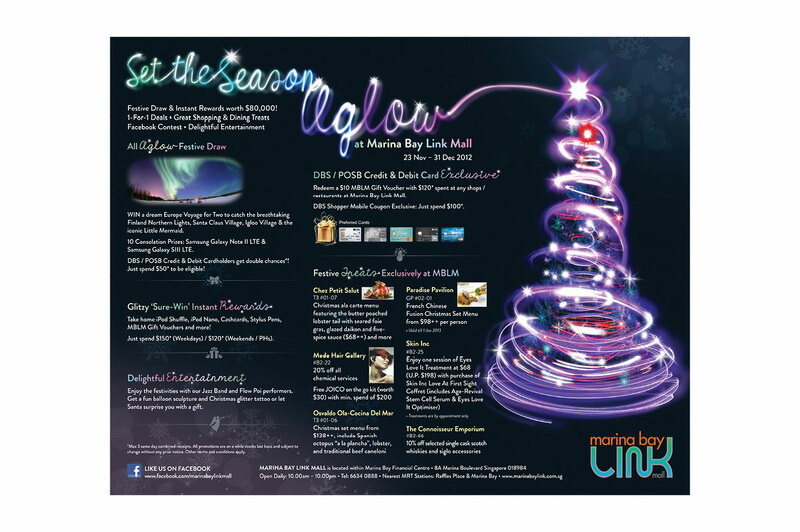 Targeted at the discerning shoppers, Nest conceptualized an abstract yet artistic Key Visual for MBLM’s 2012 Christmas campaign. 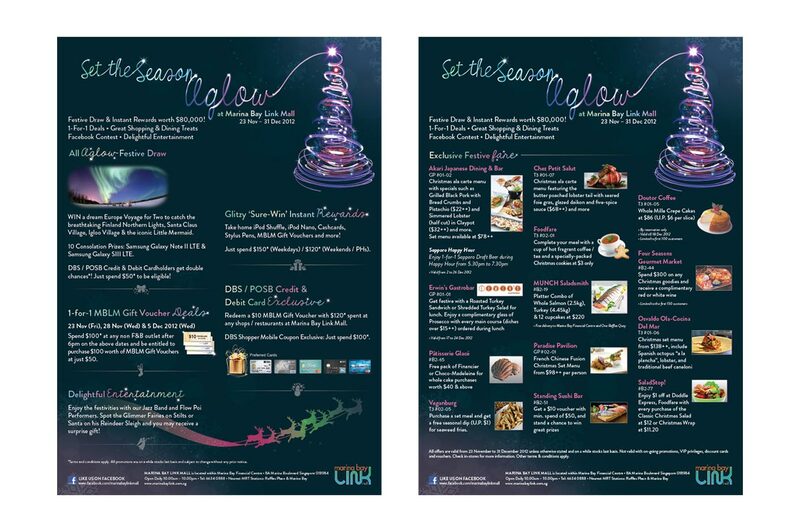 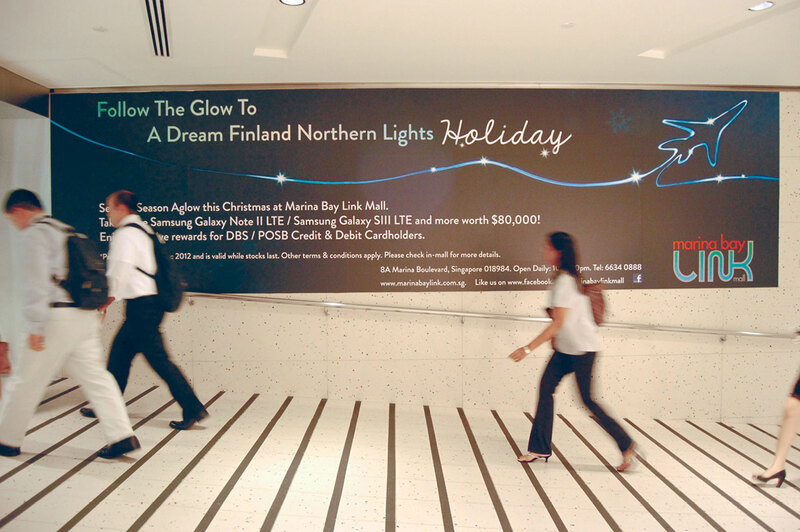 Inspired by illuminated neon lights, the visual was complemented by the headline “Set the Season Aglow”.